These amazing parents have worked with their children and the Therapists at Granite Bay Speech to help their children effectively communicate in their community. It can be difficult when the world around us does not understand what it is like to stutter. Aaron explains some important techniques that he has learned and implemented which help his son and his students who stutter. Watch the video to see how another parent explains her experience in the community with her son who stutters. Most importantly, remember to respond to WHAT the person is saying, rather than HOW they are saying it. 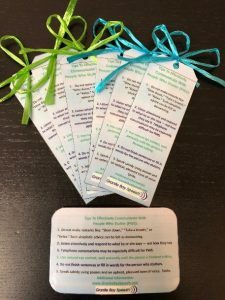 With National Stuttering Awareness day coming up on October 22nd, Granite Bay Speech has developed bookmarks and wallet cards that you can share to help spread awareness in your community. Each bookmark and wallet card outlines 5 tips to effectively communicate with people who stutter to ensure that all communication experiences are good experiences. These can be shared with classmates, friends, family members and teachers that may be unaware of some actions that might lead to a communication breakdown with a person who stutters. Follow the link below to grab your free bookmarks and wallet cards! My child has difficulty remembering and paying attention. What do I do? My child has difficulty remembering and paying attention. 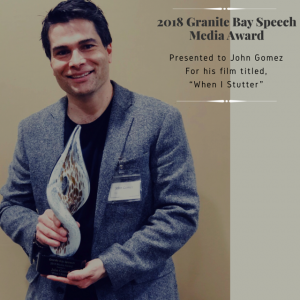 We are excited to feature this blog on the Granite Bay Speech website written by our colleague and friend, Kathie E. Ekemo, Ph.D. CA Licensed Psychologist PSY29127. 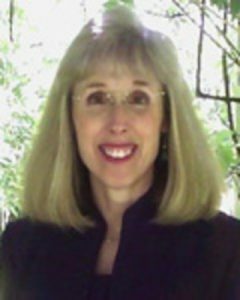 Dr. Kathie Ekemo specializes in psychological evaluations for children, adolescents and adults. Have negative feelings about school or difficulty with academic performance. A psychologist can help parents to figure out any difficulties that may be causing attentional problems, as well as providing treatment recommendations. These screenings typically include checklists, and/or testing. Once the source/s of the attentional problems are identified, Kathie Ekemo, Ph.D and Granite Bay Speech coordinate treatment to benefit clients and achieve better outcomes. Many auditory challenges, for example, can be assessed and are successfully treated by a speech language pathologist. Care may also be coordinated with your medical doctor, a visual therapist or occupational therapist. Meet Mike Molino… The Newest Addition to Our Wonderful Team! Michael is a licensed Speech-Language Pathologist. He received his Master’s degree in Speech Language Pathology from California State University, Sacramento (CSUS). Prior to earning his Bachelor’s degree in 2014 from CSUS, he served in the US Navy for more than 20 Years. Michael’s clinical skills encompass many facets of speech and language disorders, such as: expressive and receptive language delay, articulation, apraxia, phonological processing, accent modification, Autism, Down syndrome, Cerebral Palsy, Social Pragmatics, Stuttering, and Cluttering. He also has experience with aphasia, dysarthria, dysphagia, mTBI, and neurogenic disorders. Michael holds a letter of clinical competence for Fiberoptic Endoscopic Evaluation of Swallowing and is licensed as a Schools Audiometrist. Michael has personal experience with communication disorders and received speech therapy services for many years as a child/adolescent for stuttering. His passion has always been to provide clients with skills that will help them communicate effectively in academic, work and social settings. Michael has received specialized training in Stuttering disorders from Eastern Virginia Medical School Fluency Shaping Program. He has been an advocate and mentor for individuals who stutter for more than 20 years. 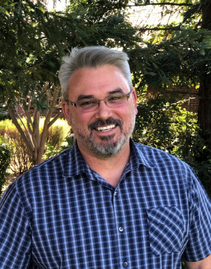 He is the Southwest Regional Chapter Coordinator and Sacramento Chapter Leader for the National Stuttering Association. He has attended numerous stuttering conferences and workshops. Michael is currently an online host for Stutter Social, which connects people who stutter from around the world. 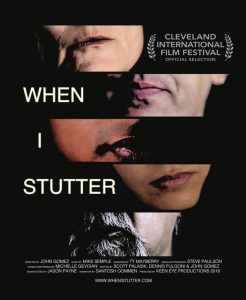 Discussions often revolve around stuttering-related issues, but sometimes they just chat about their day or a good movie. He is highly respected in our field and we are honored to have him join Granite Bay Speech. We were pleased to present John Gomez with the Annual Media Award! Here is what he said about it. 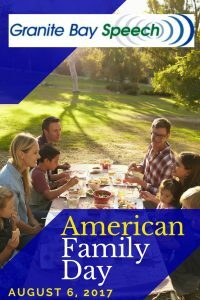 The first Sunday in August was established in 1977 as American Family Day. This day was created as a day for encouraging families to spend time with one another. We have compiled a list of fun activities for you and your family to enjoy together! Enjoy some free activities outdoors with a backyard BBQ and campout, find a shady tree and have a picnic in the park, or adventure around Folsom Lake by bike or boat. Hoping to beat the heat? Try some fun indoor activities! Cook a meal together as a family, go bowling, watch a movie, try ice skating, laser tag, or Sky High! Post on social media using #AmericanFamilyDay to encourage others to join in the fun! Tag us @GraniteBaySpeech to let us know what you are up to! Our director, Nancy Barcal will be participating in the 2014 International Stuttering Awareness Day (ISAD) Conference. The conference gathers experts on stuttering from around the world in an online free forum. The purpose of the conference is to educate one another and the general public on the impact that stuttering has on an individuals’ life. Nancy is a featured stuttering expert during the online conference this year. Be sure to log on to the conference between October 1 and October 22, 2014. 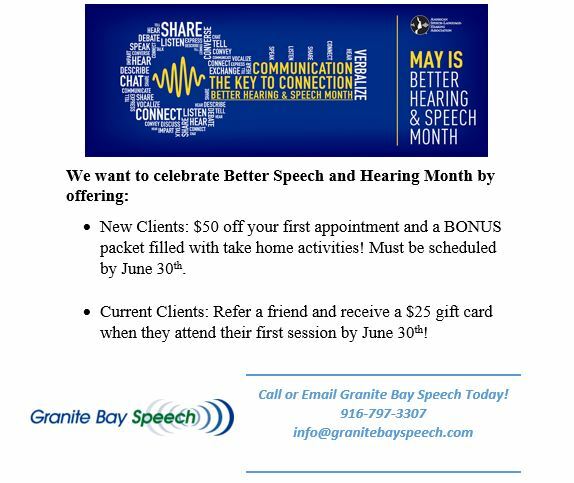 For over 25 years, Nancy Barcal, the owner of Granite Bay Speech, has helped thousands of clients successfully manage their stuttering. She has extensive training and continuing education in the area of stuttering. She was recently awarded Chapter Leader of the Year for the National Stuttering Association. As further evidence of her commitment to cutting-edge technology and superior client care, she was recently selected as a SpeechEasy® preferred provider.